All Oakland homes currently listed for sale in Oakland as of 04/26/2019 are shown below. You can change the search criteria at any time by pressing the 'Change Search' button below. If you have any questions or you would like more information about any Oakland homes for sale or other Oakland real estate, please contact us and one of our knowledgeable Oakland REALTORS® would be pleased to assist you. "MarshAnne Landing Winery, family owned and dedicated to producing estate wines from grapes traditionally grown in the Rhone and Bordeaux regions of France. Property offers spacious tasting room with amazing vineyard & sunset views, and a gallery which also serves as a mini concert hall, a custom 5157sf home, additional farm house, 17 acre vineyard, grazing land, and pond, all nestled in the Umpqua Valley Wine Country. See virtual tour." "A once-in-a-generation opportunity to own your own gated estate nestled in a private valley bordered by 1,000-acre equestrian park. This property is wine country combined with hobby farm. The secluded 55-acre setting features a unique custom home, remodeled extensively in 2017. Luxury abounds -- from the guest house to the tennis court to the spa. There's also a year-round stream with water rights & great investment potential. Must See"
"Great 230 acre ranch in the Rice Hill area. This ranch has pasture land, merchantable timber, 2426 SF home with shop, outbuildings, privacy, wild life and million dollar views. This is truly a piece of heaven on earth. Timber cruise on file." "Stunning custom, private retreat w/ lovely views of the mountains & river from the lg windows. Enjoy the two story ceilings & river rock double sided fireplace, hardwood floors, crown molding, gourmet kitchen w/ new double ovens, granite, lg pantry, luxurious master suite w/fireplace, & outstanding theater room! The terraced property has fruit trees, trails, firepit, expansive decking for entertaining & a finished separate bonus room!" "Beautiful horse property and updated custom home. Barn, roundpen and machine shed/barn. Large kitchen has 2 ovens, wonderful views, attached sunroom. RV port has power and water. Peaceful courtyard/patio with fountain, 2 decks. Near the end of the road privacy with easy I-5 access. Dual living possible or mother in law suite. Don't miss this piece of paradise with easy commute to Eugene or Roseburg." 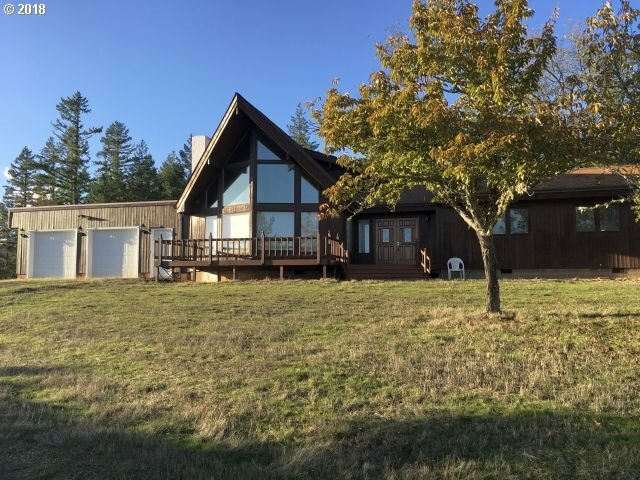 "89+ peaceful acres nestled between Sutherlin and Oakland, near I-5 but secluded enough to feel completely in the country. 1-level home w/open kitchen featuring new Corian countertops, fresh paint, new microwave & breakfast bar. Master retreat w/walk-in closet & spa-like bath. Efficient new heat pump! Large shed/barn, 2 wells, DSL internet, fruit trees, pasture land, pond & year-round creek. Perfect for a mini farm. Borders timber land." "With gorgeous views, privacy, and 5 useable acres, why would you need to leave! This Custom 2588 SF home shines with granite counters, Canadian Red oak floors, Open concept kitchen to living area, with gas fireplace, and lots of large/view windows. Bedrooms are very generously sized, and there is a media/family room wired for sound and plumbed for add'l kitchen. Property abounds with fresh cold water, year round! Huge oversized garage"
"Oh my gosh what a small slice of tranquility in this one. Spacious and solid with room enough for everyone/everything. 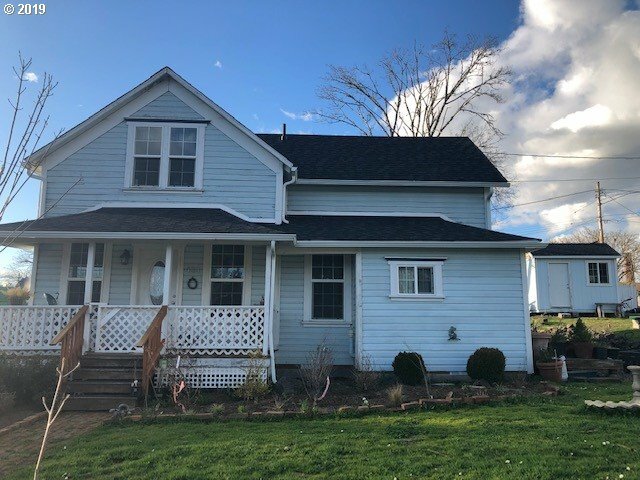 Perfect for home business w/access to office through sep. door, Circular driveway w/ample parking, great back covered deck/patio, fenced acreage for critters & pond, deeded water access and so much more. Don't miss out on this one." "Parklike setting with oak, fir and pasture. Freshly painted exterior and some interior. Golden West Home. Front and back decks, tractor shed with holding tank. Parking for RV and extra vehicles." "Charming 3BR/1.5BA in Historic Oakland. Newer roof in Dec. 2017, granite, tile, fir flooring, spacious kitchen. Plenty of room for outdoor play." 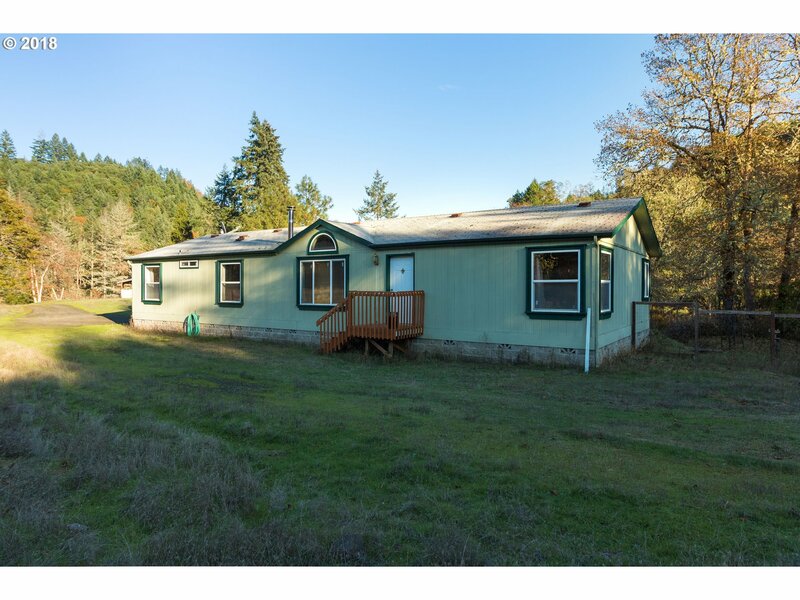 "Located in historic Oakland Oregon, this charming two-bedroom one bath has beautiful valley views. There is a bonus room that can be used as another bedroom or office. New appliances and new carpeting throughout. Covered screen porch and established fruit trees in the back yard. The house is located on a large corner lot with a two-car carport. This is a perfect starter home or a great investment property."